First picture: I interpret this note as: C sharp + B flat + F sharp + D. When I play it, it just doesn't sound quite like in the real piece. Second picture: This one is B flat for me. However, it doesn't sound good when I play it, it sounds off. 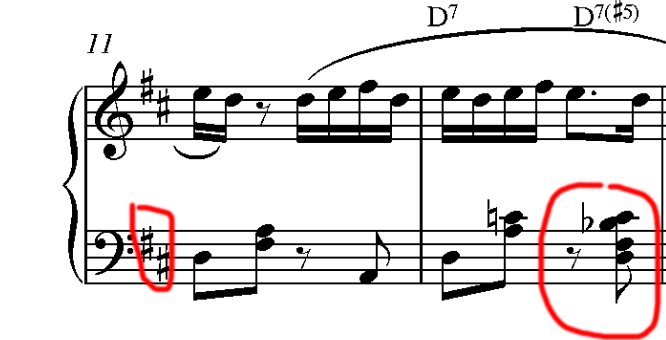 Do I interpret the notes correctly? Might it only sound off because I haven't managed to play the song with a good speed yet? 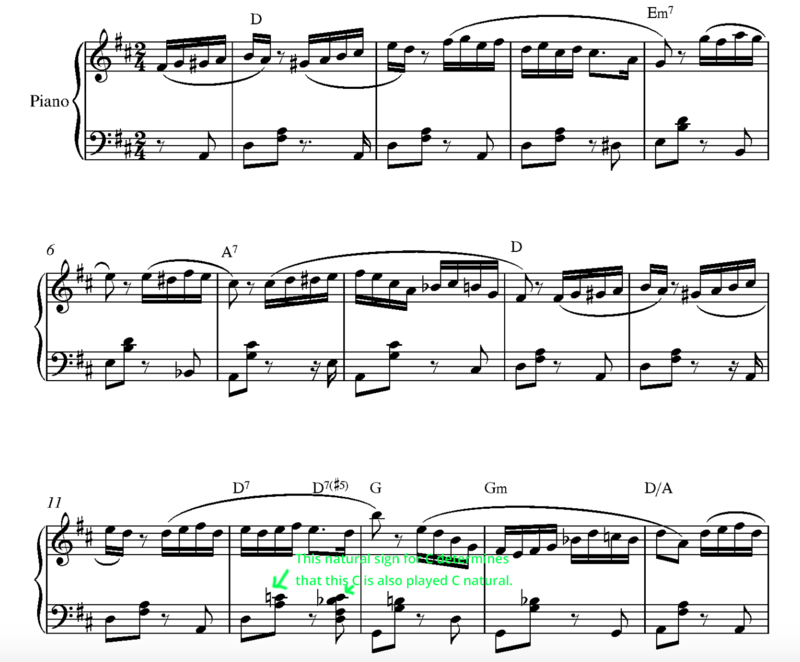 The rest of the notes sound very nice when I play them. I am playing on a Yahama E413 and have the mode "Grand Piano" selected. Is it still, as you replied, C natural? Or ist it C sharp in this case? That's how I understood it now from all the comments: The two sharp signs next to the bass clef determine that all Cs and Fs in the same line are played sharp. However, in the chord that I am struggling with, the first C has a natural sign, which determines, if not indicated otherwise in the next C of the same chord by a flat or sharp sign, that all other Cs in the same chord will be played natural as well. Accidentals such as naturals continue for the rest of the measure. 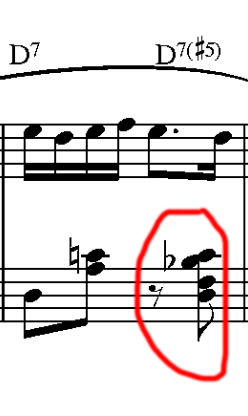 Therefore, the chord in the first measure should have C natural, not C sharp. Seeing the second measure in isolation, a B natural instead of Bb would be the obvious "vanilla" thing to do. So it is right that it sounds off to you for now. 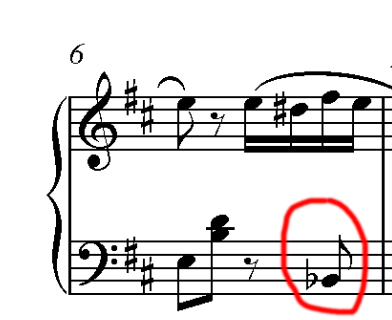 Why is it that I can sometimes guess the next note?